Short Product Description: The Charcoal Cleanse soap is great to use in the shower and even on the face for acne and oily, irritated skin. 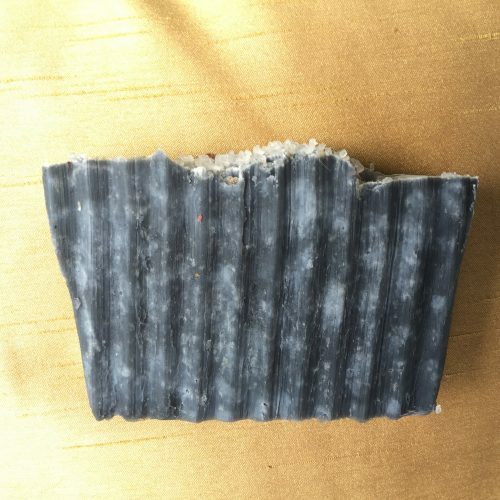 This 100% organic soap is very cleansing as activated bamboo charcoal pulls toxins from the skin and extra virgin coconut oil provides a fluffy lather that helps wash the skin free of those toxins, ensuring removal while the olive oil and castor oil keep the skin moisturized. Sea salt is another natural detoxifier as it absorbs toxins from the skin and is an antiseptic. Minerals from the sea salt provide extra nourishment. Apple Cider vinegar is antiseptic, antibacterial and anti inflammatory, a rich source of potassium and very beneficial for acne. Therapeutic grade essential oils of peppermint, lemon and rosemary revitalize the body and mind. 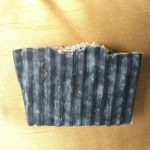 The Charcoal Cleanse soap is great to use in the shower and even on the face for acne and oily, irritated skin. This 100% organic soap is very cleansing as activated bamboo charcoal pulls toxins from the skin and extra virgin coconut oil provides a fluffy lather that helps wash the skin free of those toxins, ensuring removal while the olive oil and castor oil keep the skin moisturized. Sea salt is another natural detoxifier as it absorbs toxins from the skin and is an antiseptic. Minerals from the sea salt provide extra nourishment. Apple Cider vinegar is antiseptic, antibacterial and anti inflammatory, a rich source of potassium and very beneficial for acne. Therapeutic grade essential oils of peppermint, lemon and rosemary revitalize the body and mind. LEMON: a good remedy for increasing the luster of dull skin. It is astringent and detoxifying in nature, and rejuvenates sagging or tired-looking skin. Its antiseptic properties help in treating pimples and various skin disorders. ROSEMARY: antimicrobial and antiseptic properties and helpful for eczema, oily skin and acne. Also helps tone skin and prevent dryness. 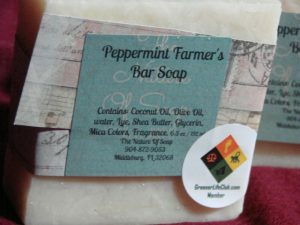 This handcrafted soap is created on Maui by a certified Holistic Nutrition Consultant with each ingredient in mind towards your health. Body HI products contain absolutely no artificial colors or preservatives that will harm, dry or age the skin. Each bar is approximately 5 oz and comes in a custom made, handstamped cotton Body HI logo bag with a description card made of recycled paper. Buy as many Body HI products as you want with a flat rate shipping of just $5!